BRYAN EATON/Staff photo. 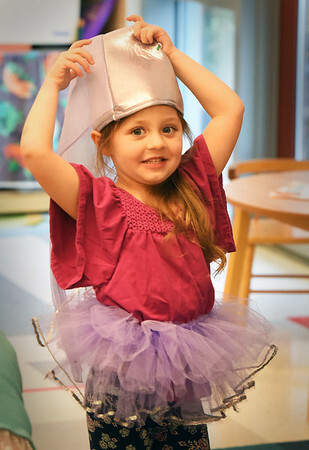 Harper Freeman, 4, dresses up as a princess in Susan Simon's pre-kindergarten class at the Bresnahan School in Newburyport on Monday morning. The children had various fairy tales read to them and they dressed up in costume to match different characters.